Happy March!!! We have been so lucky with not getting any snow days so far this year. Let’s keep our fingers crossed it stays that way!! We are working hard on division every day in class. I can’t stress the importance of your part in this at home. Please study facts with your son or daughter EVERY NIGHT. They must have them memorized. In ELA we are working on some great stories but really focusing on the skill of being able to answer a question based on what we read. Student’s should be able to answer the question and provide evidence to support their answer. We will be working on this skill with a single story and with using two texts to answer a question. In writing we are starting our opinion writing unit. If your son or daughter does not have a empty marble notebook in school please send one in by Wednesday. We will be working on writing a multi-paragraph essay stating our opinion. Children should be writing strong sentences by now. A 4 word sentence is really not acceptable at this point in the year, even for spelling homework. We are finishing up our inventor project during computer and library time. They are looking great. Ask your son or daughter to show you them on Google slides. We will be moving on to Science this week. We are looking into a possible field trip to the Bronx Zoo this May. In order to get a final price for the trip we need a commitment by Friday is you and/or your child will attend the trip. We are estimating the cost of the trip to be around $50.00 per person. Please fill out the form being sent home to let us know if you and your child will be attending. ALL MULTIPLICATION FACTS SHOULD BE MEMORIZED! We can use some more index cards, post it notes and children scissors in the classroom if anyone has any extra they would like to donate. Please encourage your child to write in script when you can. We will be writing every morning in script in class. Please remember that all children must be in full uniform each day. All shirts should be tucked in, black school shoes worn, ties and belts for the boys. We also will be going outside during recess daily so proper winter coats and hats should be brought in daily. We will have snack everyday in class. Please send in a healthy peanut/tree but free snack and extra drink for your son or daughter to enjoy. •Taking a trip to your local library and find books that spark your child’s interest in reading and writing! •Encourage your child to use reading strategies such as prediction, visualizing, and making connections to their own experience to help him or her with their reading. •Practice skip counting by 2,3,4,5,6,7,8,9,10,11,12 (Ex: 4,8,12,16) To help prepare for multiplication. We have started!!!! I can be reached by email at dwaller@olqany.org or by sending a note in with your child. 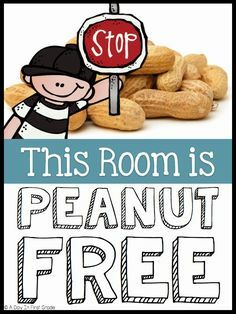 No food containing peanuts or tree nuts are permitted in the classroom. NO TOYS are permitted in the classroom. Please have your son or daughter leave toys at home. Please send in an extra water bottle with your son or daughter on gym days or when the weather is very warm. •If your son or daughter is absent from school an absent note MUST be sent in upon returning to school to excuse the absence.